Toyota's announcement of plans to recall 270,000 of its V8 and V6 models, including a number of Lexus sedans, was a little light on information. The company didn't say much about the issue other than faulty valve springs could cause a vehicle's engine to stall while driving. Fortunately, the same anonymous source that came through with some information during Toyota's recent pedal recall crisis has stepped up to fill-in some of the blanks. Apparently, Lexus dealers have been encountering the defect for a few years. 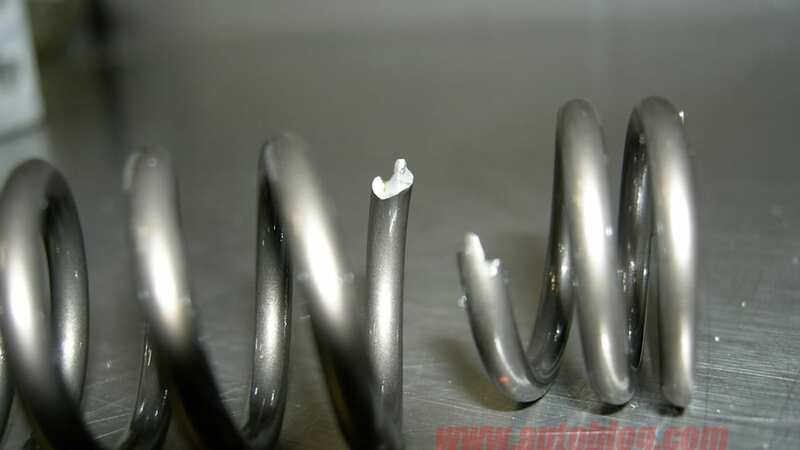 The fault typically manifests itself as a zig-zag break about three-quarters up the valve spring. This means that typically, the spring still has enough tension to keep the valve retainers in place, preventing the valve itself from going all hari-kari on the cylinder, cylinder wall and head. That's not always the case, though. If the failure happens at high RPM, the valve can come loose, causing significant damage to the engine. According to our source, one Lexus GS350 incurred $12,000 worth of damage (in parts alone) during such an incident. And there's no word on who footed the bill. Toyota hasn't said exactly what's caused the issue, though our source indicates that a Field Technical Specialist within the automaker believe the bad springs either have a manufacturing issue or a deep scratch – weak points that allow the part to fail prematurely. As for why the issue effects the company's 3.5-liter V6 as well as its 4.6-liter and 5.0-liter V8s, we're assuming that all three engines use the same valve springs. Click through to the jump for more details, including updated information, and a video. 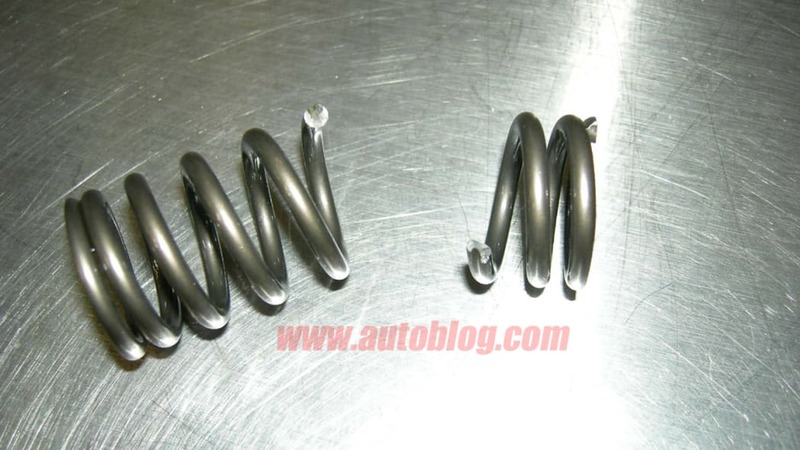 Either way, when one spring fails, Toyota typically recommends replacing every spring in the engine. Meanwhile, another Autoblog tipster was good enough to tip us off to YouTube user Maxseek's video showing the carnage that can occur when one of the valves decides to go kaput on a Lexus GS460. It's not pretty, but you can see the fallout in the video below..
We're not sure whether Maxseek is a Lexus tech or simply unfortunate enough to have the issue crop up on his own personal vehicle. Either way, he says that the problem began showing itself after a mere 5,000 miles, and what started as a rough idle eventually lead to the vehicle not starting at all. After watching the video, there's little wonder as to why. 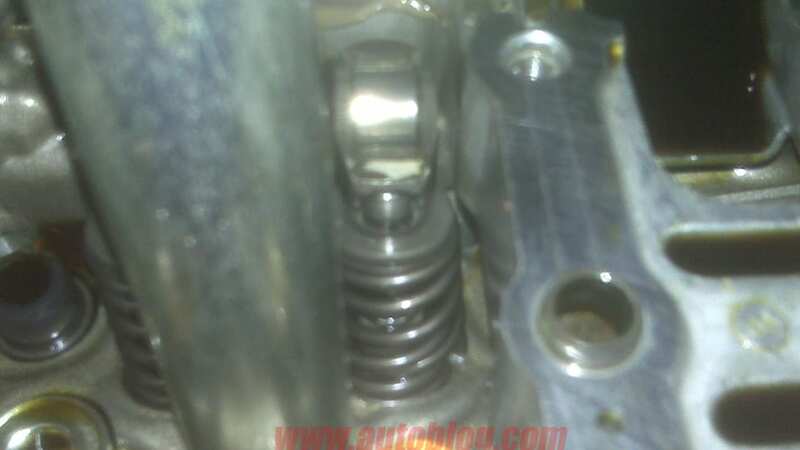 Unlike the valves in the photos supplied by our anonymous source, the valve spring on one of the intake valves on the GS460 has split into three pieces, allowing the valve to come in contact with the cylinder and become bent. Luckily for the owner of this particular GS, there was no damage to either the block or the head, but the cost of repair was still around $2,150, including parts and labor. Multiply that figure by the 270,000 potentially affected vehicles on the road, and Toyota could be looking at a $581 million price tag for quality flub – if not more. That assumes, of course, that all of these incidents cost about the same to remedy. Thanks for the tips, Anonymous and FYI! UPDATE: Toyota has announced that it will send the National Highway Transportation Safety Administration a Defect Information report starting next week. A total of 138,000 vehicles will fall under the measure in the US, including 2006, 2007 and 2008 GS, LS and IS models powered by either the company's 3.5-liter V6 or 4.6-liter V8.